Now you can have a holder for your phone ready for where ever you want it. 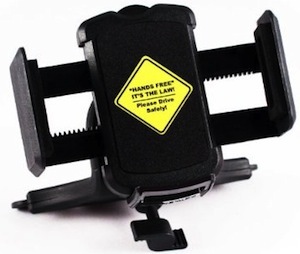 The phone holder can hold a phone up to 6.5 inch and yes this does include the iPhone 6S Plus. From the phone holder you find a flexible neck with on the other side a clip. 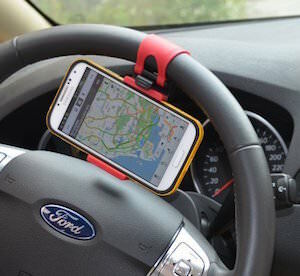 All that makes it great to have your phone secure in the car, bed, living room or where ever else as the clip makes it really handy to connect to the surface of your choice. Come and have a closer look at this Portable And Flexible Phone Holder. No you can hang your phone almost any where. Just place your smartphone in between the arms of this little character and you are good to go. Now just use the hook to hang it. 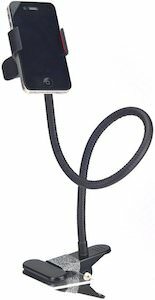 Great for your rearview mirror in the car so that you can see the GPS or hang it around you charger so that you phone does not have to lei on the floor. You can hang your device almost anywhere. And this fun cell phone holder comes in all kind of fun colors so that it matches your decor. Come and have a closer look at this Flexible Phone Holder. 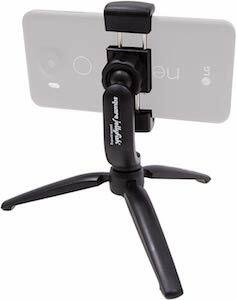 If you are in to music or other activities that use a microphone stand then now you can stop carrying paper and start using your tablet to replace it. 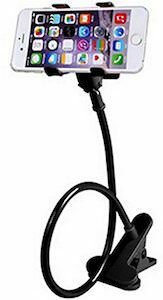 This holder will hold almost any 7 to 10 inch tablet and easily attaches to your microphone stand (not included). So now your iPad, Nexus 7 and many other tablets can be your sheet music or maybe you script. Options are limitless when you use a tablet holder for your microphone stand. 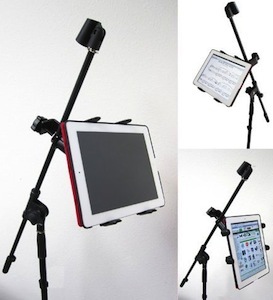 Come and have a closer look at this Tablet Holder For Microphone Stand.